A while ago before our mammoth break we featured some great charm necklaces, ending with a promise to bring you part two soon. Well it may not be as soon as anyone would've hoped for but better late than never, right? This Charming Girl is a fab little site you might have heard of as their work has been featured countless times recently. It's a great place to pick up a piece that is a bit more unique than your average high street shop and cheaper too - check out this shell necklace for example, a total bargain at £11. 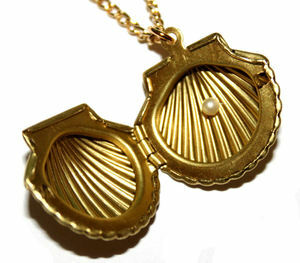 We love how it opens up to reveal a teeny tiny pearl inside! 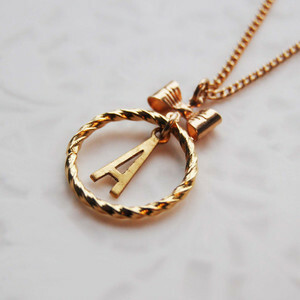 Maria Allen has lots of gorgeous, dainty jewellery which is also a lot cheaper than what you might expect. We love her initial necklaces in particular (a snip at just £12), but be sure to also take a look at her Little Acorn necklace (perfect for autumn) and Cameo ring (great for this season). Fancy yourself a bit of a femme fatale? 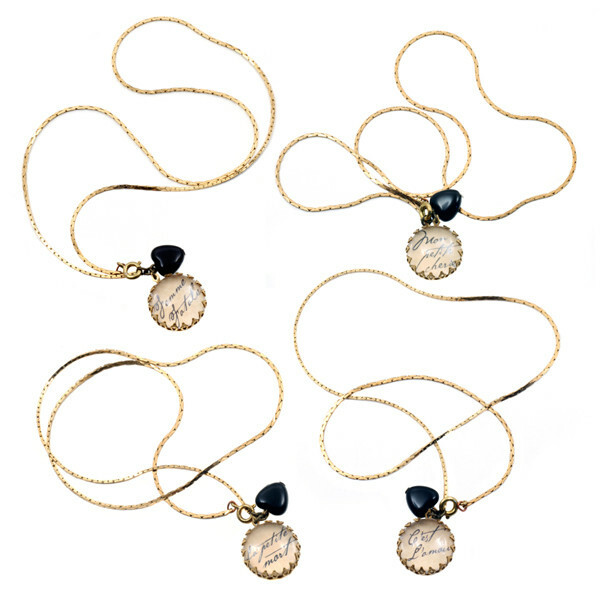 Wear it on your neck with these vintage-look necklaces from Rock 'n Rose at £18. Choose from "femme fatale," the cheeky "la petite mort," the sweet "mon petite cherie" or make a statement with "c'est l'amour".